Along this route you'll be viewing a few of Ohio state's 2,000 covered bridges. The route is one of America's top official National Forest Scenic Byways. 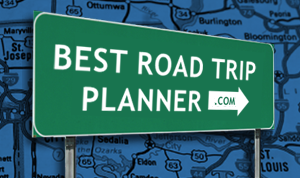 The entire road trip follows the path of the Muskingum River and takes you through the Wayne National Forest along the hilly section of southeastern Ohio near the West Virginia border. You'll be travelling through the river valley across a farm country, through thick forests and around tall river bluffs. Along the way, there are four covered bridges to see and only one of them allows you to take your car across. The only towns along this route are in the start point and end point. Marietta, OH is a nice small town, the "first permanent settlement in the Northwest Territory" with a lot of history, museums and boutique shopping district. The route travels through two small rustic national forest campgrounds at Hune Bridge and Haught Run Recreation area. The route begins in the town of Marietta, Ohio. Back in the day when shipping along the Ohio River thrived, this town was a major port along the river. The town has multiple museums, such as Ohio River Museum and Campus Martius Museum, telling stories about the town's history. The end point of the route is the town of Woodsfield (about 3 miles north of state road 800) where you can find restaurants and take a hike on the North Country National Scenic Trail, which travels from Woodsfield to the Hune Bridge. This route is ideal for anyone who likes curvy roads! Both sports car drivers and motorcycle riders will enjoy this route. Comments: This is a great little run in southeastern Ohio. The scenery is really unbeatable and the spending time in the national forest hiking around could be a mini-vacation by itself. There really isn't that much to do outside of scenery viewing and hiking/camping/picnicking but that wasn't a let down for me! Comments: Traveled in June, Beautiful scenery. Nice curves and everyone on their porches waved. Loved the white, yellow, green, and orange house, too! Comments: This is a great run for beautiful southern Ohio scenery. Takes you to a different place and time with the covered bridges and the sleepy towns along the way!! Attraction or Point-of-Interest recommendation: On this ride you'll pass through the Wayne National Forest. The Wayne is located in the hills of southeastern Ohio. The Forest is a patchwork ownership that covers over a quarter million acres of Appalachian foothills. The Forest is divided into three blocks administered out of two Ranger District offices at Nelsonville and Ironton with a field office in Marietta. We have over 300 miles of trails for hiking, all-terrain vehicle riding, mountain biking, or horseback riding in season. Come enjoy the great outdoors on your Wayne National Forest.